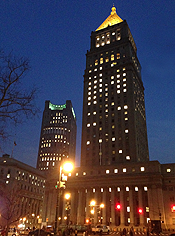 Located in New York, NY, the Second Circuit Court of Appeals hears federal cases that arise from the federal district courts of Connecticut, the Eastern District of New York, the Northern District of New York, the Southern District of New York, the Western District of New York, and Vermont. 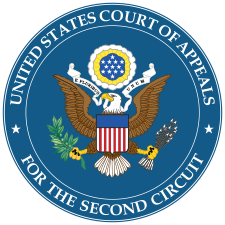 The Second Circuit has strict standards for the printing and filing of appellate briefs, and these standards differ from those of the other federal circuits. The starting point for a filling is, as always, the federal rules of Appellate Procedure. From there, the rules are modified by the local rules of the Second Circuit. Six copies of each brief must be submitted along with one service copies to each party. Six copies of each appendix volume must be submitted with one service copy to each party. Local Rules require that the index to trial exhibits include a description of each item that describes its nature. If the appendix exceeds 300 pages, then a Special Appendix must be produced which includes (1) orders, opinions, and judgments being appealed, and (2) the text, with appropriate citation, of any significant rule of law, including any constitutional provision, treaty, statute, ordinance, regulation, rule, or sentencing guideline. The Special Appendix may be an addendum at the end of a brief or a separately bound volume designated “Special Appendix”. There are local rule cover requirements including that the case number be at least one inch high. The supreme Court press does not provide legal advice.The information on this website can contain errors, and the many not be up to date.For up to date information on this circuit,you can visit the US courts website at http://www.uscourts.gov/ or find their website via a search engine.